Networks and Coalition Task Groups are listed in alphabetical order below. Please click here for the list of 2018/2019 Table/Network co-chairs. 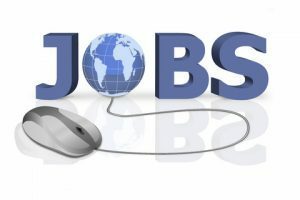 It is envisioned the Aboriginal Capacity Building Circle will actively and effectively build capacity and relationships in agencies, organizations and systems. The Simcoe County Autism Spectrum Disorder Partnership operates through the collaborative efforts of community programs and individuals affected by ASD so that common themes, gaps and challenges with respect to ASD can be improved and supported. Best Start Initiative is a province-wide expansion of services and supports for children under 6 and their families. COMPASS (Community Partners with Schools) is a network of Community school Teams across Simcoe County that link schools (elementary and secondary) with local providers of community supports and services including: child and youth mental health, parenting supports, child protection, health, youth justice, community recreation and more. To enable the development of a continuum of integrated services for children and youth with Dual Diagnosis by identifying and acting on opportunities for collaboration across sectors. Meetings occur annually. Fetal Alcohol Spectrum Disorder (FASD) is an umbrella term that covers the range of physical and brain characteristics associated with prenatal exposure to alcohol. This exposure affects the brain which affects behaviour. The Fetal Alcohol Spectrum Disorder (FASD) Initiative of Simcoe County is a collaboration of community service agencies focused on ensuring a comprehensive and coordinated approach for the prevention, diagnosis and treatment of Fetal Alcohol Spectrum Disorder in Simcoe County. Recent research shows that FASD has an estimated prevalence rate of 4% of our population (May et. al., 2014). In the 2016 census, the population of Simcoe County was 479,650 people. 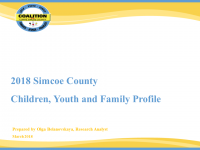 We can therefore, estimate that a possible 19,186 people live with FASD in Simcoe County. FASD has been linked with over 400 co-morbidities (Popova et. al., 2016) including learning, mental health and multiple physical ailments. According to the Government of Canada Public Health, FASD “is the leading cause of developmental disabilities among Canadian Children”. Early diagnosis and intervention is recommended for supporting and creating positive outcomes for individuals living with FASD. The costs associated with FASD in Canada in 2013 totalled approximately $1.8 Billion (Popova et. al., 2015). The Simcoe County Local Immigration Partnership (SCLIP) is a community partnership focused on the development of settlement strategies for newcomers. 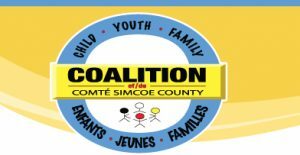 While the LIP does not have a reporting relationship to the Coalition, the County of Simcoe is a CYFS Coalition member agency. The LIP is a member of the Coalition’s Integrated Planning Table. The PRTG believe that every child and youth deserve the right to live within a safe, healthy and compassionate community. To achieve this goal all community members must have their own basic needs met and be able to fully participate in the life of their community. If members of a community do not have their basic needs met, they are unable to support themselves and the potential of child, youth and all others within that community. A compassionate community is one in which all members care about one another. The Simcoe Youth Justice Advisory Group acts as a community county-based collaborative advisory group that engages organizations with preventative supports to meet the needs of children, youth and families who come into contact or may come in contact with the youth justice system. The Transition Age Youth (TAY) System of Supports (SoS) Partnership is dedicated to creating a comprehensive integrated system of supports that assists youth, 14 to 29 years old, and their families through the transition to adulthood. 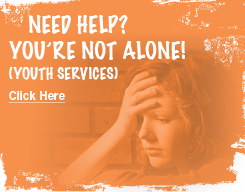 Launched in May 2014, the TAY SoS Partnership supports activities that promote the development of services specific for transition age youth across Simcoe County and Muskoka District. This includes the implementation of the Transition to Independence Process (TIP) model, as well as initiatives focused on Youth Engagement and Health Equity. Triple P is the flexible, practical way to develop skills, strategies and confidence to handle any parenting situation. It’s backed by decades of research. And it’s already helped more than 4 million children and their parents.